David said that among ethnicity- or nationality-specific events, East-Asian parties are generally busier than those aimed at South-Asian or Black patrons. “Not to be racist,” he quickly added. “It’s just how it goes.” For Epic Nights’ current residency at Pure, David brings in hundreds of people per week. On special events like Halloween, that number can go up to as high as 3,000. “And its like at least 99 per cent Asian,” he said. At the same time, “Asian clubs” are stigmatized. “There’s a saying in Toronto, ‘Once you go Asian, your club’s going to shut down,’” David said. Nightclubs Embassy, XS and Live all introduced East-Asian residencies last year. Shortly after, they all closed. 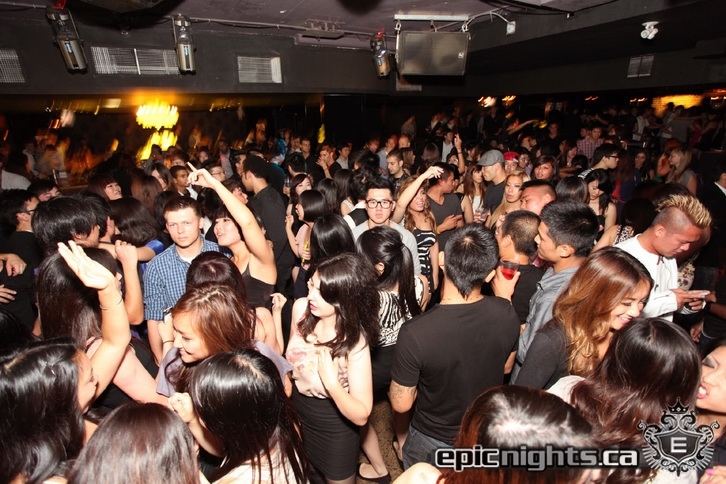 Most Asian clubgoers are Chinese. “There is a ton of Chinese people in Toronto,” is David’s simple analysis. “Those make up the majority of people who come out.” A decade ago, East-Asian clubgoers were generally from Hong Kong, but these days, most 20-something patrons are now from Mainland China. Filipinos are much more likely to prefer hip-hop. “A lot of parties in Toronto now, they play house music,” David said. “But when you go to hip-hop club, you’re going to get a different clientele of people.” At these events, both the dress code and drink preference are very different: more sneakers, and more Hennessey. Racism exists in the club. David says that Korean attendees stopped coming out to events once they realized a lot of Chinese people were showing up, too. Taiwanese clubgoers also preferred not to mingle with mainland Chinese. East-Asians who were born or predominantly raised in Canada are more likely to interact with other nationalities than are new immigrants. “It’s really hard for them to mingle because of language barriers,” said David. Club owners can be prejudiced, too. “They’ll be like, I don’t want Asians, I don’t want any black guys, I don’t want any brown guys,” David said. “Turn them all away at the door.” Even though club owners aren’t technically allowed to do this, bouncers can refuse entry using comments about clothing, intoxication, or ID. “They will start turning away certain people in the beginning just so they don’t start becoming a niche crowd,” David said. He believes that expensive quotas at clubs like Maison are a way to make sure a club doesn’t get too Asian, and says lucrative party bookings are sometimes even turned down for the same reason. “It’s kind of crazy,” David said. Karen K. Ho is a business reporter who was born and raised in Toronto. She recently discovered the joy of Aaron Sorkin’s Sports Night and Liberte’s coconut yogurt.